We want to make sure that all our patients can understand the information they are given about their own health and care. This is very important for everyone, especially people who have difficulty seeing, hearing or have a learning or physical disability. 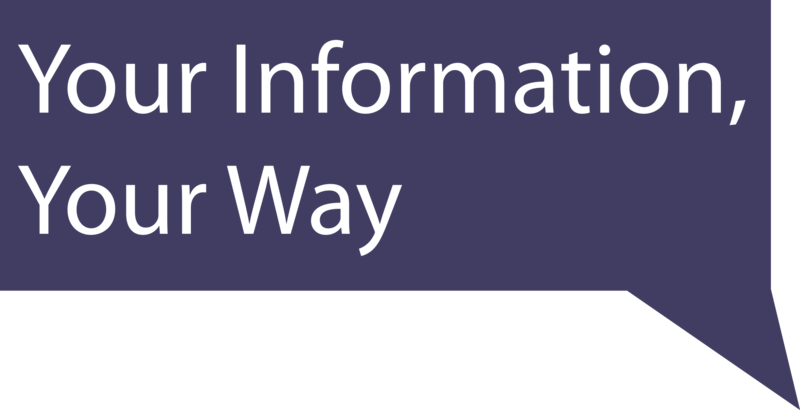 To help us to do this, we have started a project called Your Information, Your Way. This project will also make sure that we meet the national Accessible Information Standard (AIS). The Accessible Information Standard is a new requirement that all organisations providing adult NHS or social care must follow in full by 31 July 2016. The Accessible Information Standard aims to make sure that people have access to information that they can understand and any communication support they might need. For more information on the AIS, please click here. If you have a communication need which you would like to tell us about, please click here to let us know how we can help.